After running more than 100 marathons, this SilverSneakers member is not slowing down. By the time you finish reading this sentence, Ben Mathews has probably finished another workout—and is already thinking about the next one. 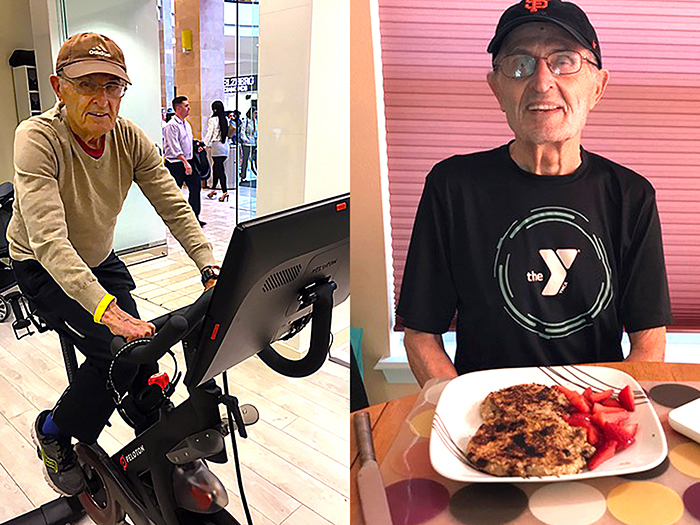 The Jacksonville, Florida, resident rises at the crack of dawn every day, fuels up on healthy fare (bananas, Brussels sprouts, and hard-boiled eggs), and then drives to his local YMCA to crush calories—all before 6 a.m.
Ben’s early-morning hustle is one thing, but it’s the 80-year-old’s actual workout that inspires awe. To start things off, he rides a spin bike for 30 minutes. Next, he transitions to the treadmill, where he bangs out five to six miles for an hour. After giving his quads some quick TLC on the elliptical for 15 minutes, he closes each workout with a circuit of core exercises, like squats and planks. Then, as if a two-hour routine wasn’t enough, Ben walks to his community pool every afternoon and swims laps for 30 minutes. Why not? After all, he’s diligently worked his entire life to maintain a strong, lean body, and an even sharper mind. “I exercise to keep my brain active,” says Ben, who still works as a professor and accountant. 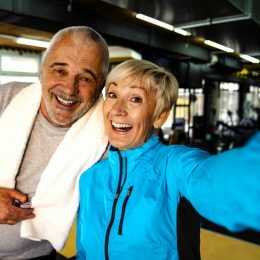 He scoffs at the notion of ever slowing down, so retirement—and a gentler gym regimen—are off the table, thank you very much. With more than 100 marathons under his belt, the veteran runner is going harder in life than ever before. And while he doesn’t expect all seniors to keep apace, he believes that being active at his age is the only way to, well, be. It’s a philosophy that has guided him since he was a kid—and one that’s never too late to start following. Born in the Bronx, but abandoned by his mom when he was just three years old, Ben spent the bulk of his childhood living in St. Joseph’s Catholic Home for Children in Peekskill, New York. Despite being dealt a lousy hand, Ben chose to embrace the orphanage for all it had to offer. “The nuns in charge were kind to us,” he says. “They taught us discipline, respect, and how to value education.” All three tenets stuck with him. Ben’s time at St. Joseph’s served him well when he enlisted in the Army in 1959, at age 20. After four months of basic training, he finished as the top recruit because he knew how to follow orders. While other new soldiers might have been shaken by their surroundings, Ben was used to living in close quarters. “The barracks felt like home,” he says. Ben spent two years in Panama training soldiers to prepare for warfare in Vietnam. While he taught officers how to adapt to their conditions and survive in the jungle, he also whipped his own body into shape. After the Army, Ben went to the University of Bridgeport and earned a degree in accounting. But before he could climb the corporate ladder, he had to pass the notoriously tough exam to become a licensed certified public accountant (CPA): eight hours of tests for three straight days. He ultimately ascended to controller positions in New York City, CFO posts in Washington, DC, and Miami, and a job as an IRS agent in Dallas. As Ben and his late first wife, Joani, raised their four kids in the Connecticut and Maryland suburbs throughout the 1960s and ’70s, he stayed Army-fit pounding the pavement by himself. But he didn’t become obsessed with running until the rest of the country did, when marathon gold medalist Frank Shorter and other American long-distance runners made headlines at the ’72 Munich Olympics and kick-started a craze. 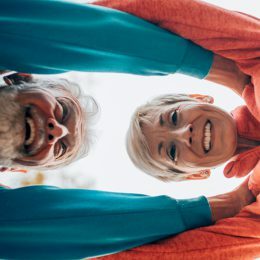 Suddenly, Ben had other people to run with—he joined Maryland’s Howard County Striders club in 1978 for the camaraderie—and, more importantly, against. 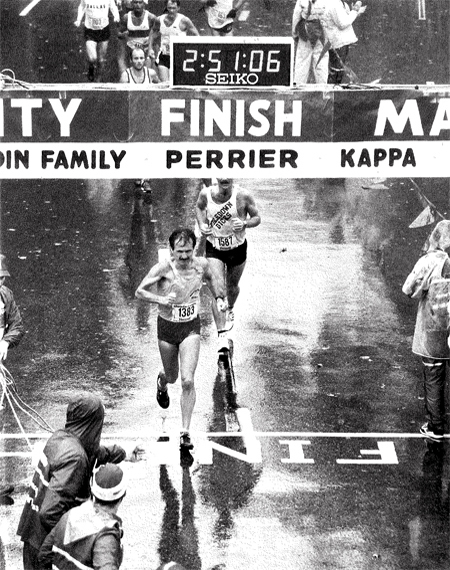 In 1979, he ran the New York City Marathon, his first 26.2-miler. And in 2011, he completed the Space Coast Marathon in Cocoa, Florida, his last. In between, he crossed the finish line at 106 others. Ben, at age 45, finishes the 1983 New York City Marathon in 2:51:06. His running career is full of accomplishments. In 1982, he set a personal record at the Marine Corps Marathon (2:48:02). He competed in Boston 18 times. And in 1997, he even ran the hallowed 26.2-mile course from the Greek town of Marathon to Athens, the site of the very first Olympics in 1896. At his peak, Ben logged close to 100 miles per week. While it’s more like 30 these days, he still loves running—fast. 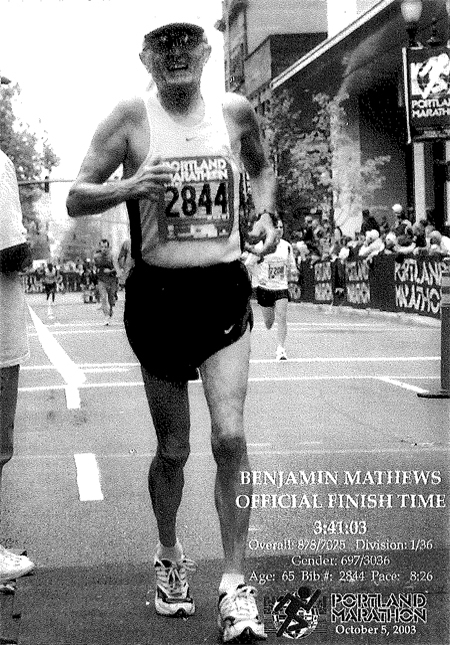 Ben, at age 65, finishes the 2003 Portland Marathon in 3:41:43. Many 80-year-olds would be content to enjoy the fruits of their labor and live a relaxing life in retirement. Not Ben. He still teaches online accounting classes every semester through the University of Maryland University College and works with a local CPA to do clients’ income tax returns. Why? That doesn’t just mean filling out 1040 forms. While Ben may be a beast during his solo sweat sessions, he’s always happy to assist other seniors at the gym. It’s his mission, he says, to spread the gospel of exercising as a means to fend off aging. 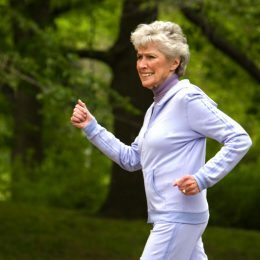 If you’ve let your fitness slide in recent years and you want to get back to breaking a sweat, join a program like SilverSneakers, Ben recommends. Instructors can help you learn proper form and modify exercises for your needs. And if you stick with that plan long enough, you might just catch up to Ben Mathews. Hey, we said might.